May 2015. Chhote Ma has left this life to be with Param Pujya Ma. Her legacy is huge - the tremendous treasure of Urvashi which she snatched from the air and captured on paper and which brings knowledge, hope, enlightenment and love to all who hear. Her memorial is in our hearts - those of us whose lives changed through her guidance and example, those of us who are better persons because of her, those of us with a rich foundation due to her life. May the love and light which Urvashi has spread through Param Pujya Ma and her "pen", Chhote Ma, illumine your life with peace and joy and the desire to be of assistance to all around you. 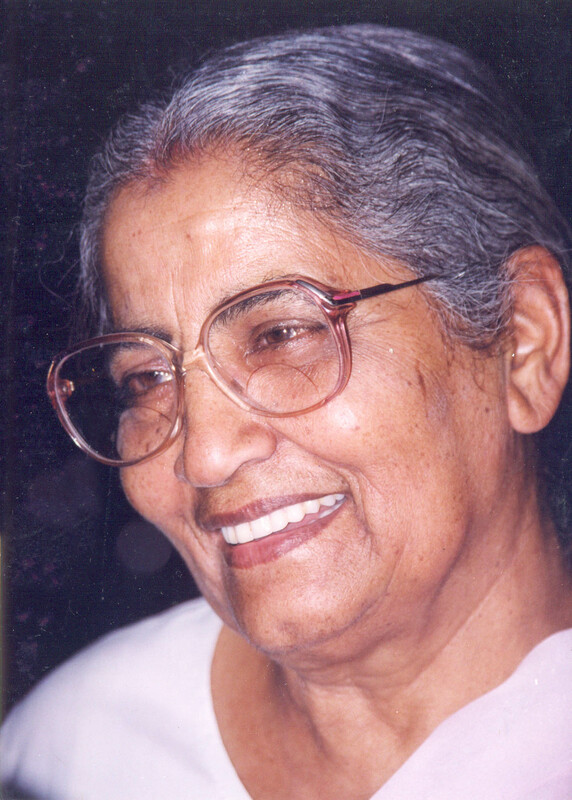 Param Pujya Ma’s constant companion since 1950 – she has untiringly recorded the divine flow of knowledge that emanated from Param Pujya Ma – a veritable elixir for mankind – for all times to come. Her personal study of the Scriptures as elucidated by Param Pujya Ma imparted an immense clarity, which she shared with all through discourses regularly held in Madhuban, Karnal, Delhi, Chandigarh and Mumbai. Chief Patron – Mr. Rashmi Thakrar – Director – Tilda. Mr. Anuranjan Singh - B.Sc., F.C.A. Mr. Kamaldeep Dayal - B.A., LLB. Mr. Inderjeet Anand - B.A. Govt. College (Lahore), Ex-Deputy Dist. Governor & Int. Ex-President & Patron for life- Lions Club, Dir. N.D.T. A.
Ms. Indu Dayal - B..A.(Hons.) Delhi Univ. Mr. Sandeep Dhiman - Dip..E..E., Dip -.Computers, M.C.S.E. Dr. Mrs. Reena Gupta - M.D. 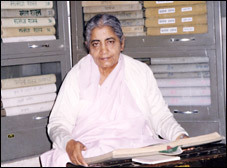 Mrs. Kunda Kelkar - M.A. (Mumbai Univ. ), Diploma ( Heidelburg Univ. Germany); Ex-Prof.-Max Mueller Bhawan & J. N. U.
Mrs. Vandana Vaid - B..A. ( Hons.) Punjab Univ. Through the years, Arpana has traveled a beautiful and fulfilling path of prayer and service. We remember with gratitude, those many precious friends who held our hands and walked with us even a few miles. We may not have been able to name them all here, but they will always hold a very important place deep in our hearts. We also look to the future with a prayer that the young ones at Arpana, and indeed all those who join us in our journey of spiritual discovery through service, will ensure the longevity of Arpana´s Services in times to come.